Warner Bros. Interactive Entertainment released a brand new trailer for the upcoming superhero fighting sequel Injustice 2. 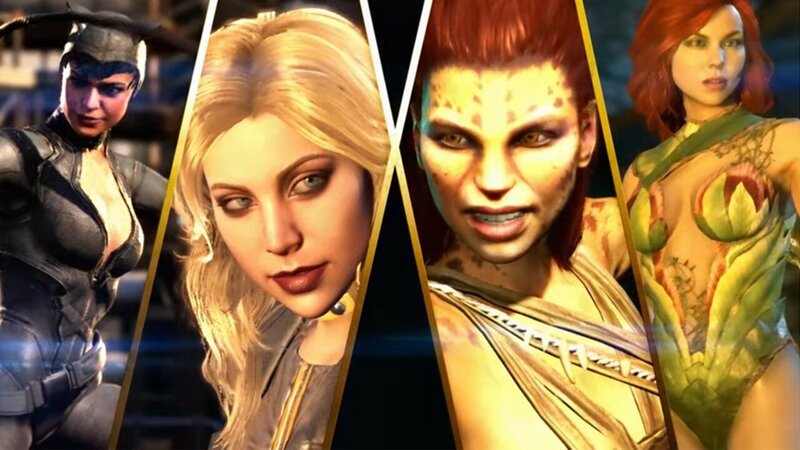 The new cinematic trailer titled “Here Come the Girls” features Black Canary, Cheetah, Catwoman, and Poison Ivy. It’s full of action and fighting sequences that shows tidbits of gameplay from each of the characters. The trailer starts with a cool stylistic intro for each character then transitions to Black Canary saying “I fight crime not commit it”. From there the screen splits into 3 showing actual gameplay from Black Canary. She ends it with her patented Canary Cry. Then the trailer showcases Cheetah with her furious scratches which she has no problem telling her victims about when she shouts “My claws will cut you down.” The screen is split for Cheetah’s onslaught using footage from the actual game. It then shifts to a cinematic between Cheetah and Catwoman that leads to a flying entrance from Batman. This gives players a look at some of the pre-fight sequences in the game. Catwoman is introduced with a deadly assault of her whips and it transitions between a showdown with Poison Ivy. Poison Ivy is showcase doing deadly combos within her gameplay montage. Lastly, the trailer unveils special moves from each of the DC superheroes, with Catwoman’s motorcycle attack taking the spot of most interesting as she grabs her enemy with her whip dragging them with her across the screen. Injustice 2 is the sequel to Injustice: Gods Among Us and is being developed by Netherealm Studios, the developer behind Mortal Kombat. Players can choose their favourite super hero or villain from a massive roster of DC characters. Injustice 2 will be available May 16, 2017 on PlayStation 4 and Xbox One in Digital Deluxe, Ultimate, and Standard Edition. Eager Injustice fans can pre-order now and unlock Darkseid.